It’s probably not ever a good idea to get a tattoo on a stag do. Unless – by some weird chance – you are on a completely sober stag do and have planned your tat months in advance. Sadly for Lewys Shepherd, from the Rhondda, he woke up the morning after a stag do/rugby tour with a lot worse than just a banging hangover. 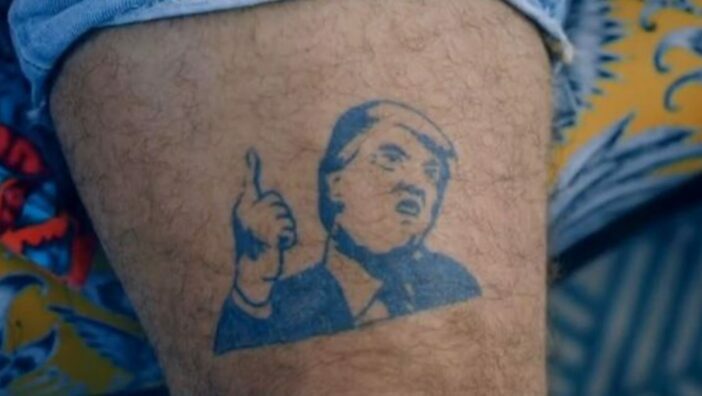 After a few bevvies, Lewys had made the somewhat dubious decision to have the image of US president Donald Trump tattooed onto his leg. 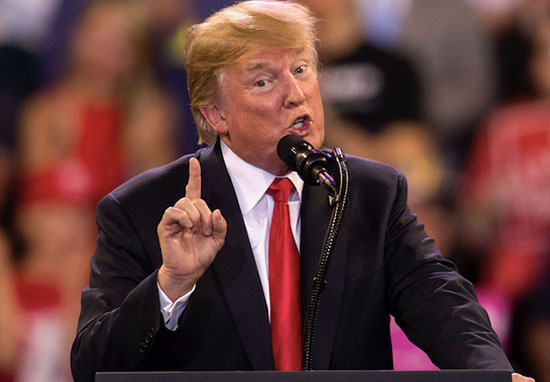 Not a particularly flattering image, the tat captured Trump mid-speech, teeth bared and one finger raised. Not exactly one to hang up in The White House. 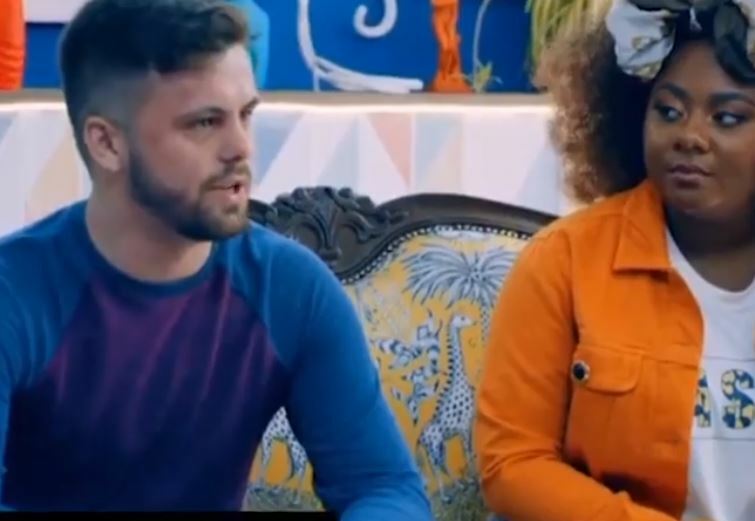 Filled with regret, Lewys headed to E4’s Tattoo Fixers to see if they could help him out with this woefully awkward ink. I’ve got a sh*t tattoo that I need gone. I was on a stag do/rugby tour, had a few too many, ended up in a tattoo shop and had a bad tattoo. Although other members of the boozy Stag group opted to have nose and eyebrow piercings, Lewys was the only one to get a tattoo. I thought it was a great idea at the time… until I sobered up. It’s a bit of a controversial person. I was just drunk, and he’s in the news a lot isn’t he – so, that’s the first person that popped into my head. 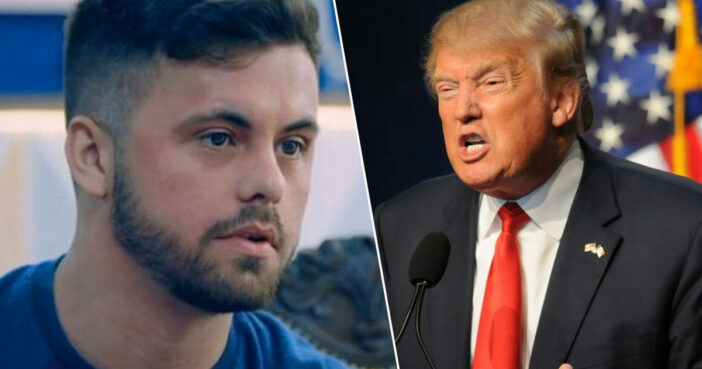 I want to make it clear, I’m not a fan of Donald Trump. For some reason that’s what popped into my head, and as soon as I said it, there was no going back. Fortunately, the tattoo fixers were able to make Lewys’ leg great again, with Lewys choosing a Native American theme this time around. Sketch drew up a native American chief, complete with an elaborately illustrated feather head dress. The result was stunning, just showing the importance of thinking before you ink. 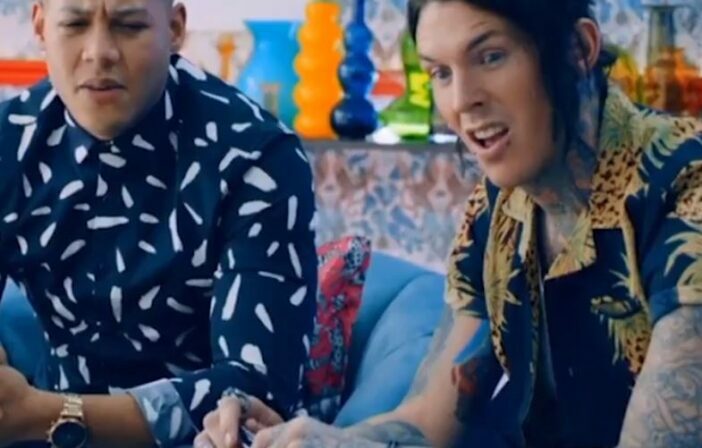 You can catch Tattoo Fixers Wednesdays on E4.